Our service package is designed to be transparent, simple and provide outstanding value. No matter how old your Nissan is our prices are fixed. You simply choose from a major or minor service for a petrol (from £199), diesel (from £219) or EV (from £149) Nissan, and in return receive fantastic added benefits. YOU want to stay on the road when your Nissan is in for a service or repair. NISSAN PROMISE to keep you mobile free of charge whether you need a courtesy car, or just a lift. YOU want to understand what is going on with your car's service. NISSAN PROMISE a free vehicle health check and we can even show you any work that might need doing with your own vehicle assessment video. YOU want the best value for money when it comes to service and repair. 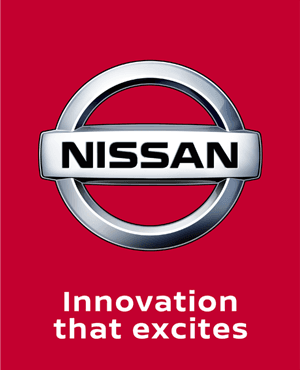 NISSAN PROMISE simple Fixed Price Servicing, and will price match like-for-like competitor written quotes within 10 miles of your local dealer. YOU want the peace of mind you get our quality service to go even further. NISSAN PROMISE to provide you with Roadside Assistance for free every time you service your car with us. YOU want to test drive the latest Nissan model, engine and gearbox you're interested in buying. NISSAN PROMISE that's what you will get when you pre-book your test drive either online or through our customer service centre. With Nissan Service Care Repair you’ll always know exactly where you stand. Why? First of all there’ll be no nasty surprises, as we’ve fixed the price on most of our common repairs. We only let the best get under the bonnet, as our trusted trained Nissan technicians will be carrying out all the work. Plus you can expect a perfect fit every time, as we only ever use approved quality parts, that have been designed specifically for your Nissan, offering more safety, better performance and durability. Whether it’s brake pads or windscreen wipers, expect excellent service every time. Take a look at our fixed price repairs below. All prices include fitting and VAT. *excludes LED & HID illumination bulbs. **includes only vehicles requiring R134a gas / excludes vehicles requiring 1234yf gas. ***includes only vehicles requiring R1234yf gas / excludes vehicles requiring R123a gass.